Will the fact that Sen. Kamala Harris (D) is a former District Attorney and Attorney General in California cripple her chances of becoming the 2020 Democratic nominee for President of the United States? Judging from anecdotal evidence culled from comments sections of traditional media articles and social media, it very well could–but it should not. To assuage growing concerns among hard left-leaning progressives who will prove critical in the Democratic primaries, Harris should give a major speech or record a podcast where she details her career in law enforcement, her motives for pursuing that particular practice as a lawyer, and why her experiences within the same do not place her at odds with many of the social justice issues that are fecund among Democratic voters in this Black Lives Matter era. To be clear, I find no fault in these questions being among those used to vet the Harris campaign. For years, the relationship between law enforcement and the Black community in general has been fraught with concerns about the unequal dispensation of justice. Mr. Butler makes a few salient points; as a former prosecutor myself from 1998-2000, I know first hand both the awesome power within prosecutor offices across America–and the awesome burden that black men and women who serve as prosecutors feel within these offices. I often aver, the most powerful actor in the criminal justice system is the prosecutor–not the judges and definitely not the criminal defense bar. Prosecutors are the ones who decide what to charge, whether mandatory minimum sentences will come into play, and when to offer plea bargains that could prove the difference between a true second chance, or a life in which the criminally accused is damned to wear the proverbial Scarlet “C”–convict–for the remainder of their lives. While prosecutors are far from monolithic in how they approach their jobs, Mr. Butler is correct that within many offices, promotion and pay increases are directly tied into conviction rates and draconian sentences. Now, this does not mean that each and every ambitious prosecutor has a “throw away the key” mentality, but many do, and as a defense attorney, those are typically the most difficult ones to negotiate with–and the ones in which I derive the most satisfaction when a jury returns a “not guilty” verdict in a major felony trial. But the burden for black prosecutors is immense because of the perception that as a “Brotha” or “Sista,” that if they are on the stat sheet stuffing upward trajectory, that they are somehow traitors to the race and tools of systemic oppression. Indeed, some range from race traitors to racially indifferent lackeys for their bosses–bosses who are typically white males. But the majority of black prosecutors that I have either served with or fought against during my 17 years as a defense attorney understand their very unique role and they strive mightily, where they can, to balance out current systemic racial oppression. On this last point, I distinctly remember being aware early in my prosecutorial career in Tallahassee, a city that is home to Florida A&M University (FAMU), a prestigious HBCU, Florida State University, one of the largest predominantly white universities in Florida, and Tallahassee Community College, also a large, predominantly white (at the time) junior college, that on any given football weekend, that many of the black students from FAMU, FSU and TCC were arrested and taken to jail for possession of marijuana or underage possession of alcohol. On the contrary, many of the white students were given citations to appear in court. To me, the discrepancy was huge not just from the psychological standpoint of knowing that these young black students had to ride in a police cruiser, sit in a cell for six to eight hours at least, and post bond or hope for release on their own recognizance, but also in knowing that those arrests records–even if sealed– could still haunt said black student when it came time to apply to graduate and professional schools or seek jobs. So I routinely used my discretion to balance the equation as best I could by either dismissing the majority of the weaker cases outright, or granting time served plea offers and fines for the stronger cases of defendants who were locked up instead of “citationed” up. But not every black prosecutor was or is so mindful, thus my conclusion that Sen. Harris should get out in front of this issue now before it haunts her. Surely, these questions must be answered by Harris. So, too, must her decision to fight to uphold the death penalty–a penalty that, historically, has been disproportionately administered to black defendants far more than any other group of condemned murderers or rapists. So, where there are cogent answers, Harris should provide them. 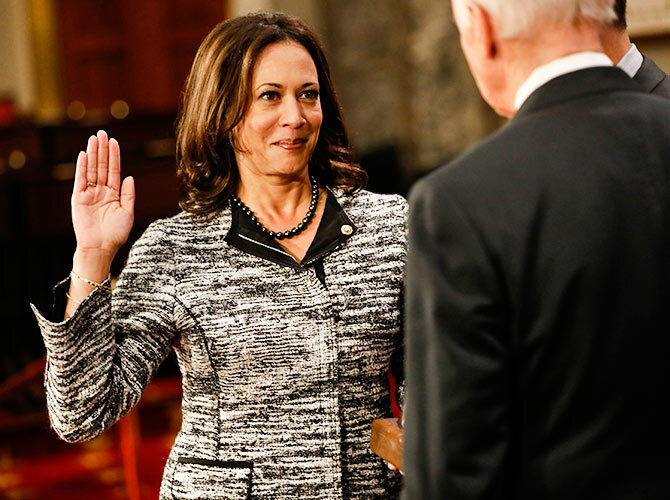 And, where upon reflection she considers former positions in error, she should provide apologies expeditiously–before progressives sink the Harris presidential ship while it is still stuck in its moorings.